The Lever aims to open up healthy and respectful reflection in our denomination on the Bible’s role in our identity and decision making. We want us all to be moved by the fulcrum of the Biblical Gospel – the unmoving centre of the Apostolic witness to Jesus – and to revolve around that centre, and derive our power from that centre. The journal aims to be a biblical, loving, robust lever for such aims. Back issues of The Lever will become available online some months after publication. Some individual articles can also be downloaded. Just click on the highlighted links below. 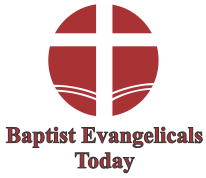 Issues 1 to 3 focus in turn on what it is to be Evangelical, Protestant and Baptist. Issues 4 & 6 address issues surrounding the nature of our life as an association of Baptist churches. Issue 5’s theme is the pastor’s role. Please subscribe to get your electronic copy of The Lever.